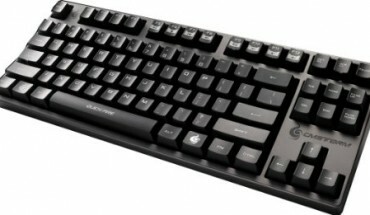 Gaming keypads are smaller keyboards that PC gamers use to execute macros and other commands on the fly. Most people think of the classic mouse and keyboard, but when it comes to keypads, these are designed completely different and almost look like a device from the future. However, this is really just a great way for gamers to take more control of their experience and launch an endless stream of macro gameplay against their opponents. There is no fiercer opponent than the best gamer paired with the best gaming keypad. There are a few things to look for when you start browsing different keypads. The keypad should provide similar benefits of a keyboard but with a more compact design. Many keypads are ergonomic so that it fits naturally to your hand and playing style. These are a few of the features that we look for when picking out a great keypad for our gameplay. Keypads are made to be just a slice of what a keyboard offers. You typically get about 20 keys numbered from 1 to 20. Some have more than may have letters like G4 or M6. Most keypads come with extra buttons just like a gaming mouse does. These keypad buttons can be used for other abilities. Black is pretty standard for most keypads, but new keypads are coming up with customized LED lighting, better ergonomic design, and even an LED display console. Keypads need to have a few things to keep it in place, such as rubber pads on the button to make it harder for the keypad to slide around during play. LCD displays are also important if you want to see what combinations you are putting out as well as different damage. Most keypads are going to add to your gameplay in some fashion. They allow you to execute more commands and controls than the average gamer just using a keyboard and mouse. 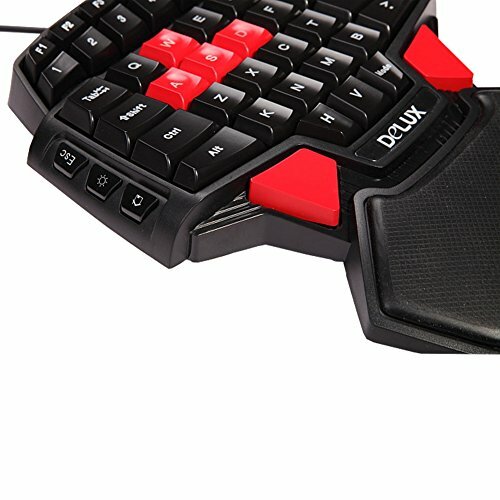 If you are left-handed, there is even more reason to buy one of these keypads as it makes your gameplay significantly better than others who are right-handed as well. 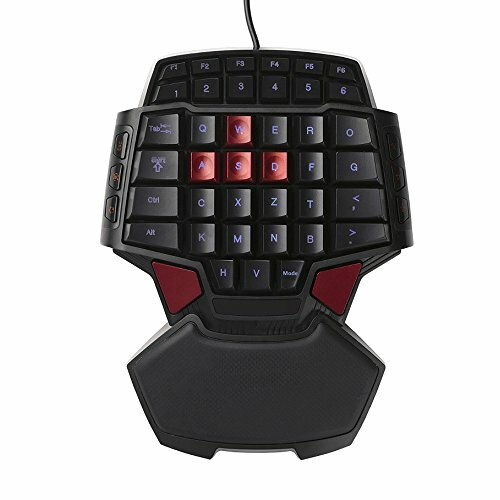 If you are a serious FPS gamer and like having a lot of control, then keypads offer mechanical switches, which has better response times and accuracy. There are some keypads that have a lot more buttons than others, and they will take time to learn. However, if you want something that looks cool, the RGB LED lighting on keypads will match your other stylized gear like LED keyboards. Customization is key when it comes to gaming. Gamers who have set up their macros and buttons will be able to execute far more complicated combinations during gameplay and ultimately have an advantage over other players. All of these keypads below are great options, but the one you pick will depend on how you play. If you are looking for more buttons or like the RGB backlights, then you may want to spend a little more for the best keypad on the market. This guide looks at all keypads and what each one offers in terms of features, style, design, and quality. 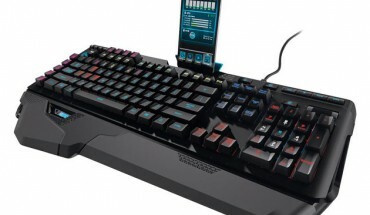 The Logitech G13 Programmably Gameboard with LCD Display is an old staple in gaming. This keypad has been around forever, and it used to be at the top of the line. The design is naturally contoured so that you can rest your hand comfortably. The onboard memory pad lets you program ujp to 5 player profiles. 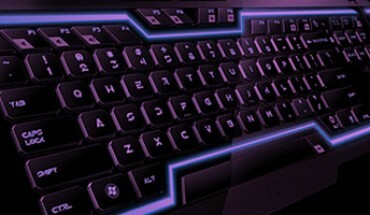 The customizable backlighting lets you choose colors and easily locate the right key when you are gaming in the dark. There are 25 programmable keys altogether. The GamePanel LCD also displays game stats, communications from other players, and system info. Overall, the design is a little chunkier and less appealing than some of the newer keypads out there. However, the LCD display is one reason that gamers still choose this keypad over others. Some of the buttons continue to have sticking problems and do not work according to previous users. Keypad is a little older and should be available for much less than competitor keypads. 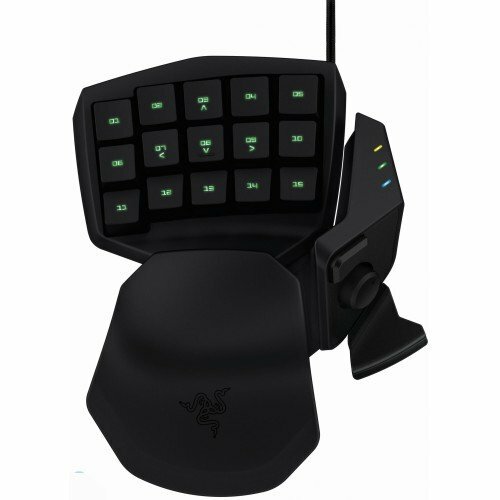 This keypad was specifically designed for gamers, as are most Razer products. This is a mechanical switch that has optimized sets of actuation and reset points to improve your gameplay. There are 20 programmable keys for whatever hotkeys, skills, and macros that you plan to use. You can also program an 8-way direction thumb-pad to improve your gameplay even more. There are individual programmable backlit keys that allow for 16.8 million color options. You can set all of these through the accompanying software at Razer Synapse. You can customize each and every key on the Razer Orbweaver with several different player profiles as well. You really pay extra for the RGB backlighting on this one, but the design and functions are incredible for gamers. This gameboard may not be comfortable for those with larger hands. This is a powerful keypad for gamers who want all of the extras and do not care about RGB lighting. However, this does come with three modes for LED backlight gaming. There are a lot of things to love about this little keypad. For one, it has a great, ergonomic design made special for one-hand gaming on either the left or right hand. The double space bar makes it a quick choice for those who want to do both. Mainly, this keypad is great for WASD movement keys, but you cannot program it or set up any profiles for different sets of macros. You pay a lot less but you do not get all of the programming features of other gaming keypads. This may not be compatible with Windows 10 and Mac computers. 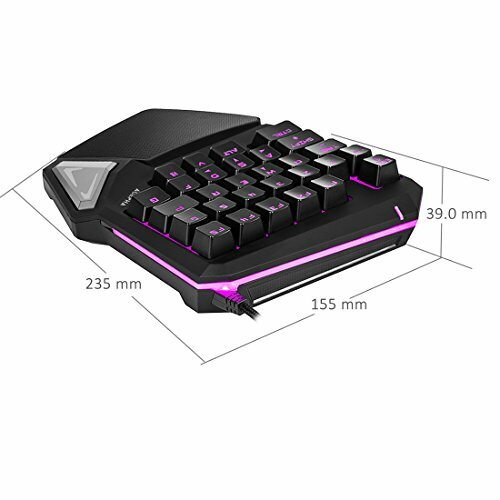 The DEEBOL wired professional gaming keyboard is a smaller size than other keypads and also has a little bit of an older design. While it is made for professional single-handed gameplay, you may find yourself wanting to create different profiles and assigning macros. However, this is not the keypad for those functions. With 41 keys and 6 keys with multimedia functions, you can control a lot from your keypad. It is palm-sized and portable for a simple, practical design. Keypad has an older design and does not allow for much customization. A lot of gamers love the Razer brand for its ingenuity. Basically, you know when you purchase the Tartarus 2 that you are purchasing something made by gamers for gamers. Once you equip yourself with this keypad, you have a lot of options including 32 programmable keys. You can use these to set up different hot key profiles as well. There are over 16.8 million colors to select for your RGB lighting preferences that you can set using Razer Synapse. The comfortable design meets the right angle for your palm. There is also a hypershift mode that allows you to open a secondary set of commands for everything you can imagine, including macros to all types of Windows shortcuts. 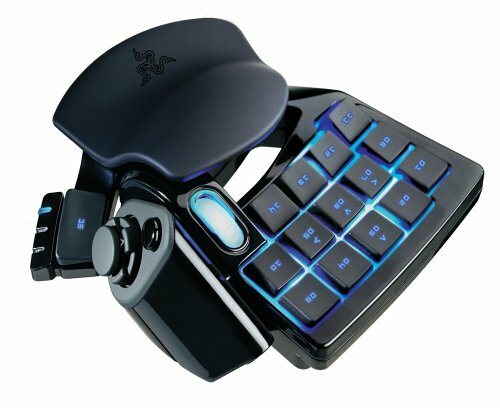 Razer Tartarus comes in mechanical, membrane, and mecha-membrane styles. 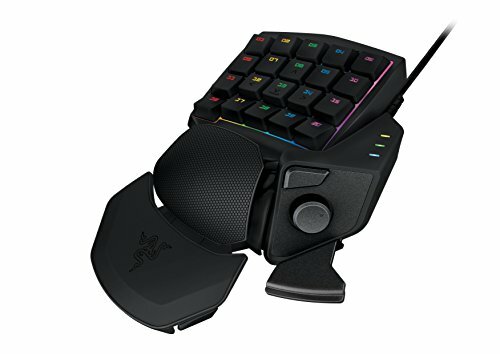 Gamers said this is a much better improvement over Orbweaver’s thumbpad and thumb button. 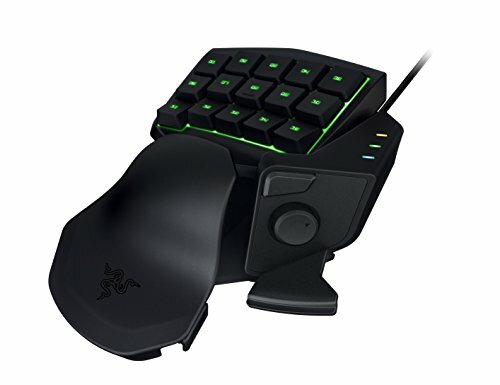 The Razer Nostromo PC Gaming Board is a simpler keypad that has a bit of an expensive price tag when you think of the value. Most gamers love this keypad because of its simplicity that pays more attention to the comfort of your hand and the style of gameplay rather than RGB lighting and more programmable keys. The keypad comes with an adjustable soft-touch wrist cushion, 8-way directional thumb pad, backlit keypad and scroll week, and 20 different gaming profiles. If you want more comfort and lots of different profiles for different games, this is a great buy. However, you get more with other brands that offer more programmable keys. This keypad lacks the amount of programmable keys but makes up for it with more gaming profiles. 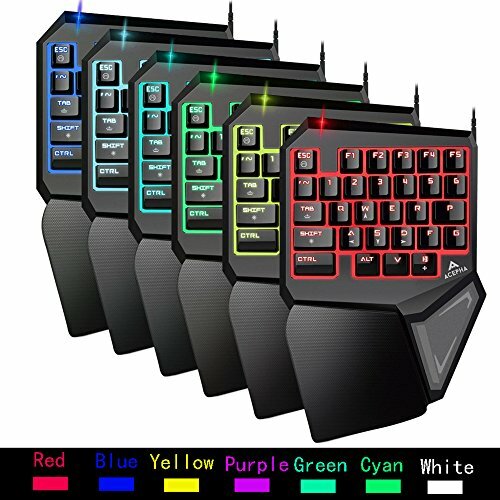 The Magical LED Computer Gaming Keyboard just came out with a new design in 2017 to be more comfortable. The new palm reset really fits naturally to your hand. There are 29 programmable keys for all types of macros, skill sets, and hot keys. The adjustable LED backlight can be customized by individual key using 7 different color options. You can also change the brightness to the level that you like as well. The pad is designed to have a large keyboard and small palm rest. If you have the older Magical keyboard, this version is all new and has a different structure with a new button layout. 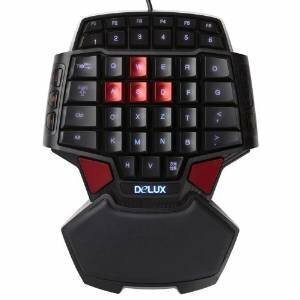 You will love the mechanical feel of this gaming keypad. ACEPHA really does put out an excellent quality product that is very comfortable and fits naturally to most gameplay styles. The anti-ghosted keys with 16-key rollover is an added bonus that you will not find in most competitor keypads. There are 7 different LED lights that can be adjusted for individual keys or gaming profiles. Some players have pointed out that the software does not always switch between different games as smoothly or quickly as it should. This keypad has great value if you want something that has backlights, lots of profiles, and all programmable keys. The Razer Tartarus comes in different styles. Some prefer the mecha-membrane, while others will opt just from the membrane design. Both are ergonomic and fit naturally to your hand, but the membrane has a wrist-rest that you can also adjust which makes it easier to fit to your gameplay. You can adjust the lighting vida Razer Synapse. You can set up your own profiles for any game that you like using the 25 programmable keys and 8-way thumb pad. Each and every button on this unit can be customized depending on what game you like to play. Keypad backlight system can get stuck in certain profiles, which means having to unplug and reset. The PinPlle Keyboard is more of a controller keypad and has a lot of users for gamers who want a separate WASD and double space bar option. The keys are not programmable for macros, however. This is an older unit that is extremely light and portable. The design is a little bit less cushioned than other keypads, and you likely will find it frustrating that it does not have thumb pads or another bells and whistles. This is a great keypad for the price if you do not want so many buttons or options as other competitor keypads. 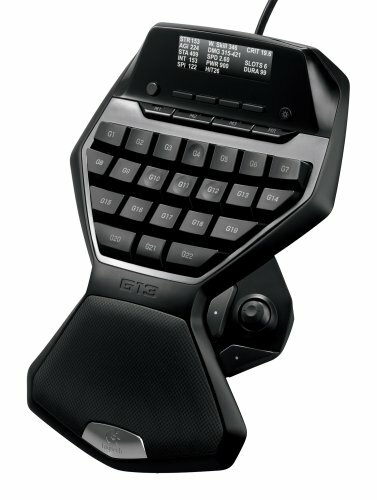 The best keypads available are going to have a lot of options and gaming profiles. Gamers who choose keypads typically like to program every key and set up different profiles for games that make it easier to play. The only keypad that really allows for this is the Razer Tartarus 2.